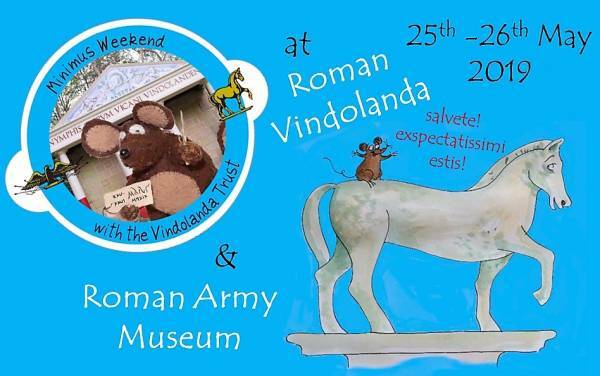 Join us at both Roman Vindolanda and the Roman Army Museum for a weekend celebrating the little mouse that made Latin cool again! Minimus and the gang have lots of adventures at Vindolanda come and learn about what they get up to on our Minimus tours- find Minimus' favourite spots! Create your own mouse character with Minimus artist Helen Forte! Have a family Latin Lesson with Minimus author Barbara Bell. At the Roman Army Museum get dressed up and stand in front of our Green Screen and be transported into Minimus' world! This event and all the activities will be free to attend with admission to the site! Site Open from 10-5pm. Last admission 4pm. Free with admission to the site.